Mastodon is a distributed, federated social network that forms part of the Fediverse, an interconnected and decentralized system of independently operated servers. 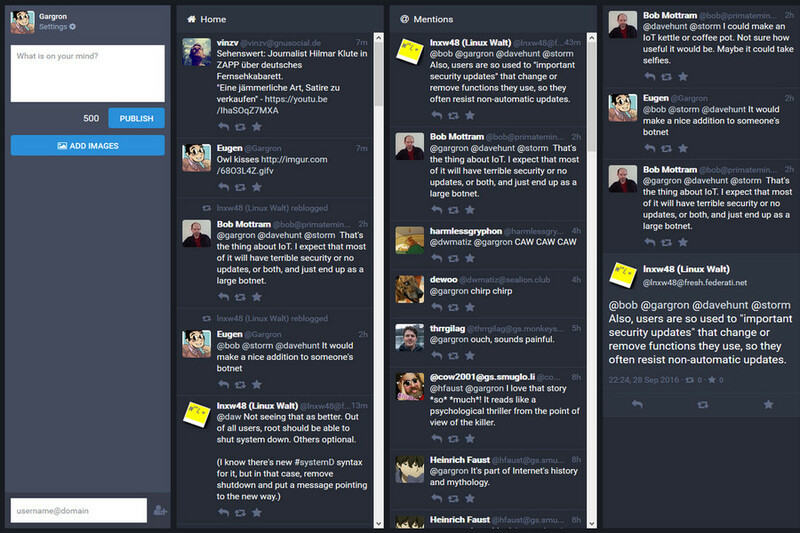 Mastodon has microblogging features similar to Twitter. Each user is a member of a specific Mastodon server, known as an “instance” of the software, but can connect and communicate with users in other instances as well. Users post short messages called “toots” for others to see, subject to the adjustable privacy settings of the user and their particular instance. The Mastodon mascot is a brown, or grey Proboscidean sometimes depicted using a tablet or smartphone. The software seeks to distinguish itself from Twitter through its orientation towards independently operated small communities and hence a community-based, rather than top-down, moderation and service operation that cooperates, but is not directly dependent upon each other. 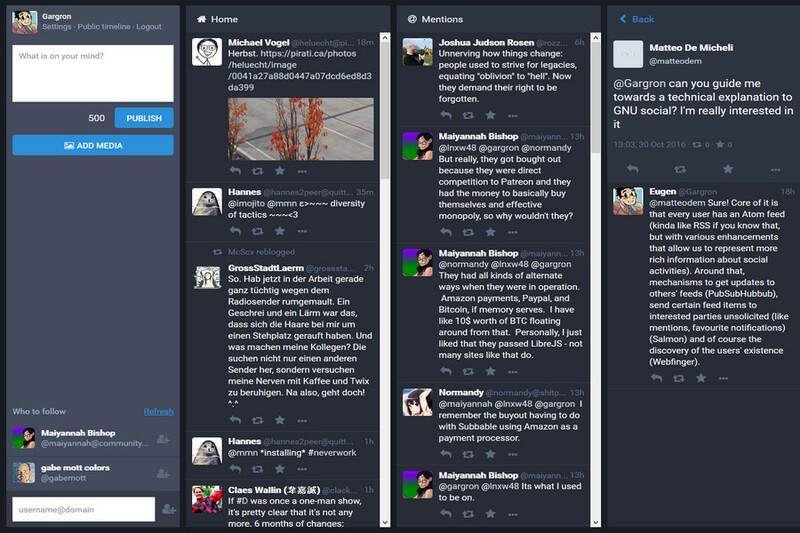 Like Twitter, Mastodon supports direct, private messages between users, but unlike “tweets” posted on Twitter, Mastodon’s “toots” can be either closed to the user, closed to the user’s followers, public on a specific instance, or public across a network of situations.